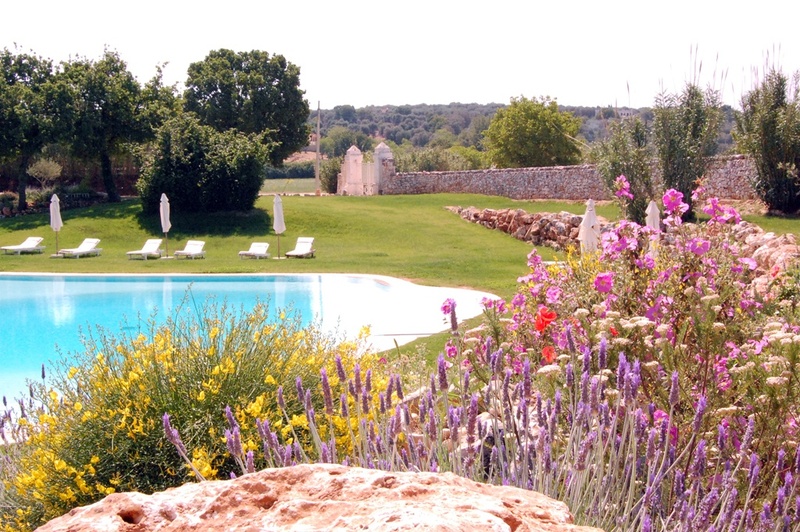 Located in a handful of 16th Century farm buildings perched on a hillock overlooking a fertile plain, this hotel was a working farm for centuries. 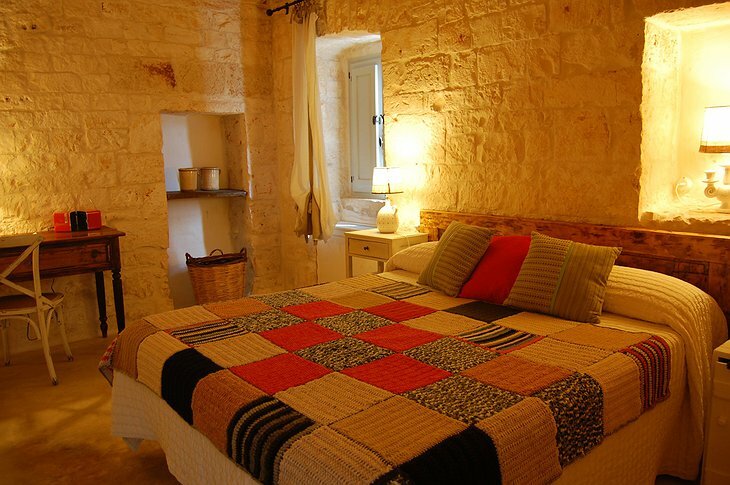 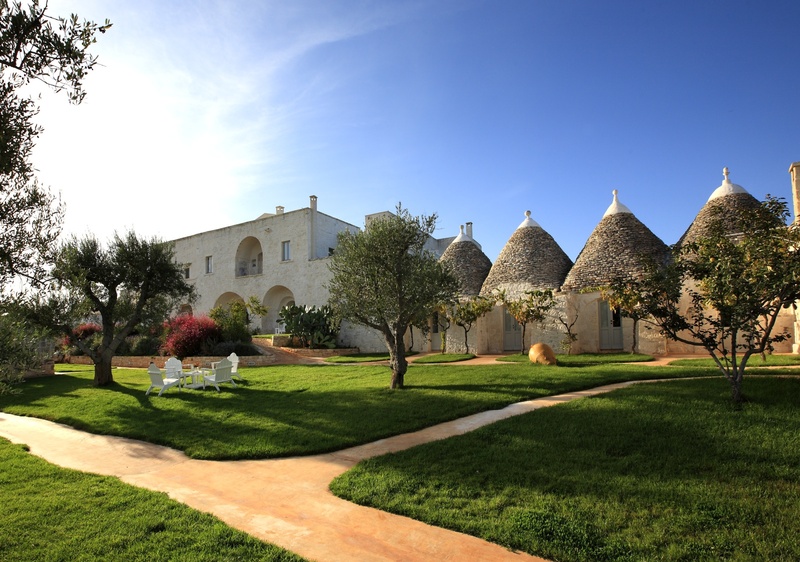 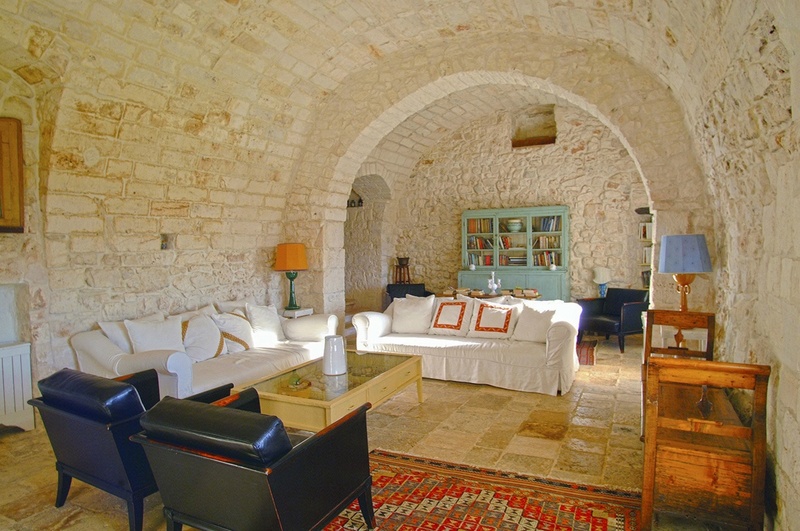 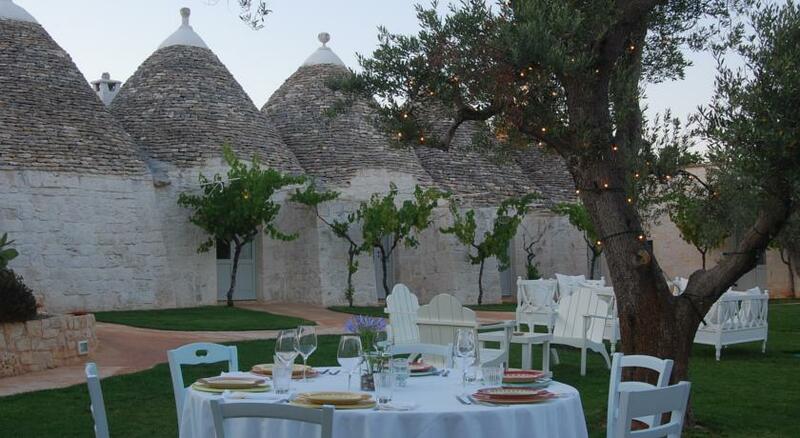 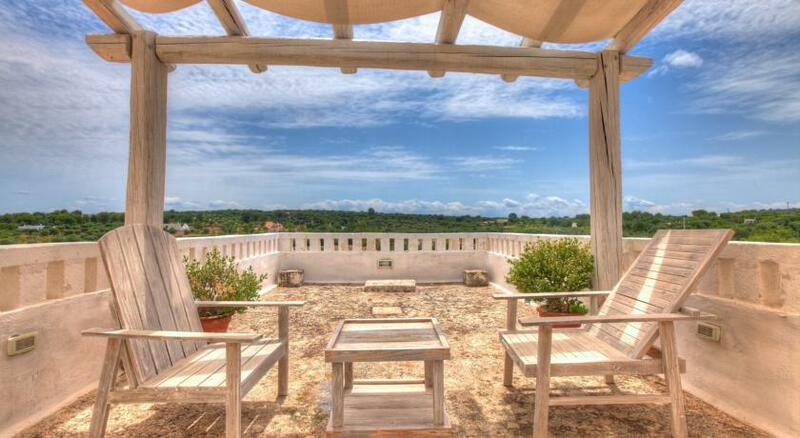 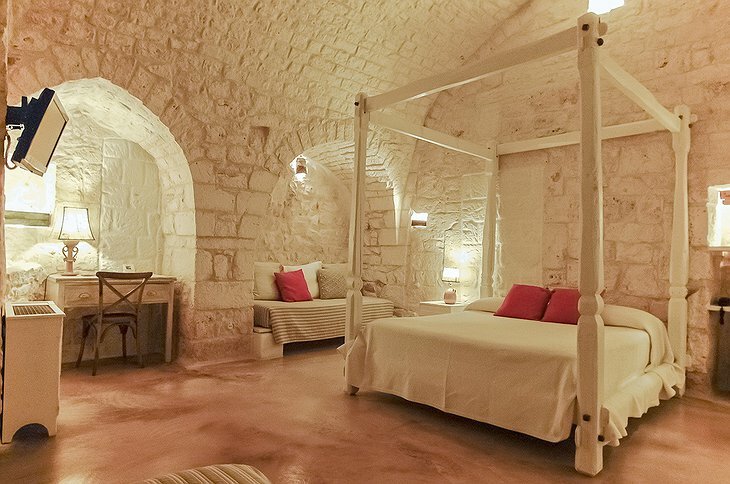 You can stay in the peculiar “trulli” houses that were the preferred residencies of farm laborers. 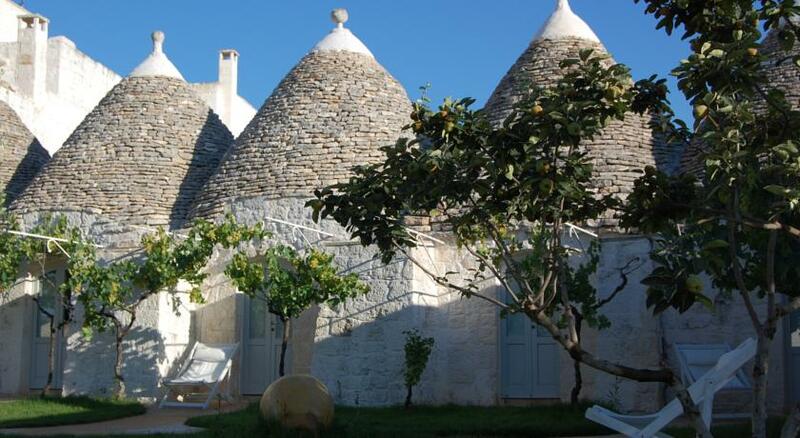 They are dry-stone conical huts with thatched roofs easily erected and taken down – the perfect eco DIY dwellings. Your trullo house is decorated with modern amenities but preserves the original homely atmosphere of the tight-knit farming communities they once housed. 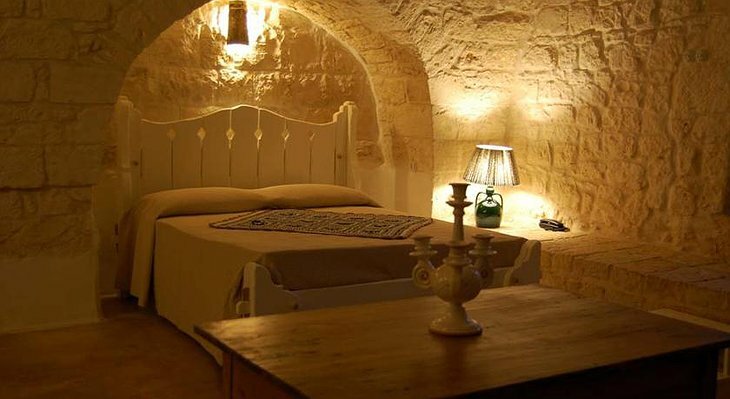 All the rooms are unique as the decoration has been made to fit into the ancient architecture. 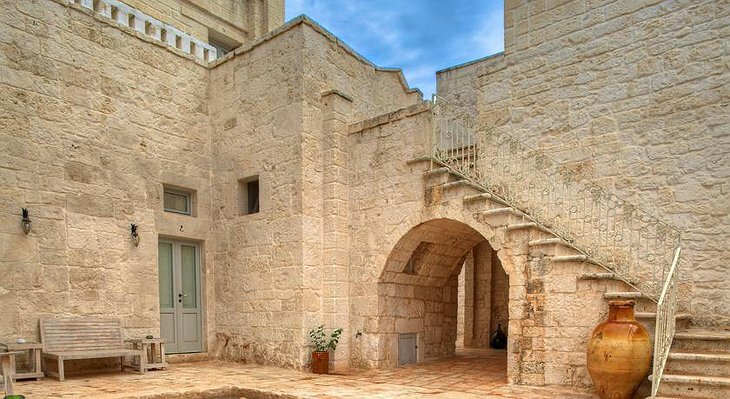 The beautifully renovated church of 1798 has a baroque altar and bountiful frescos. 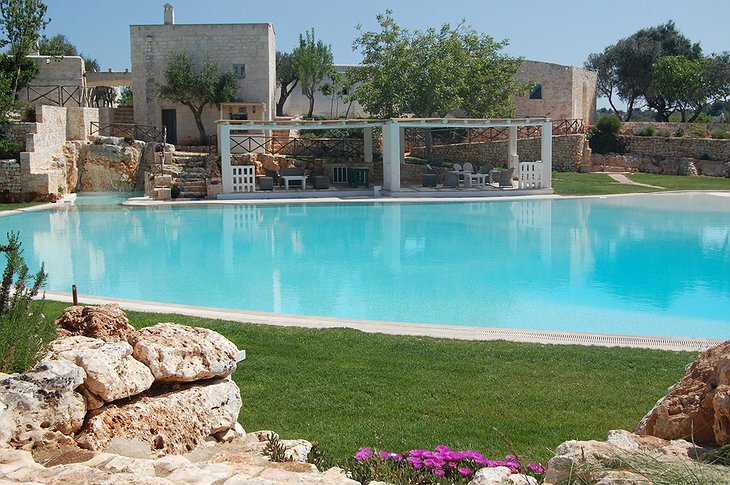 The hotel is near to the Adriatic coast and warm beaches are accessible or maybe you’d prefer to hang out at the ample pool and eat the delicious food, either way this restored farmstead will lull you with pastoral vibes.